Plant operator Tokyo Electric Power Co. now says the level of radioactive contamination in the leaked water from the No. 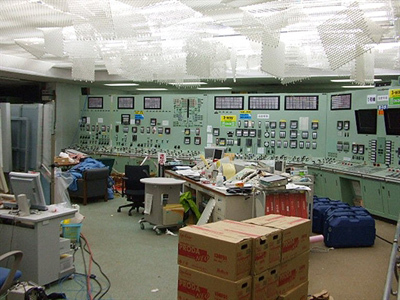 2 reactor was 100,000 (100 thousand) times higher than normal in the reactor's cooling system. 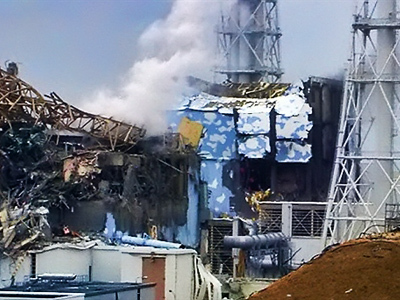 Earlier reports suggested the water used for cooling the Fukushima reactors had a radiation level that exceeded the admissible maximum by 10,000,000 (10 million) times. However, later on Sunday the plant operators announced the numbers are inaccurate and need verification. 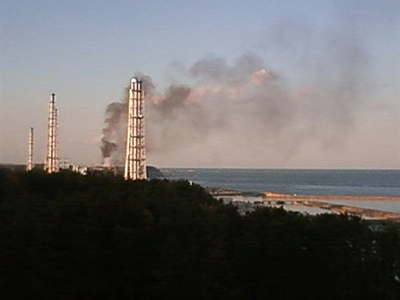 The announcement came after emergency personnel at Unit 2 had been evacuated due to measurements which showed the level of radiation in the water of the turbine room in Unit 2 of the Fukushima 1 nuclear power plant exceeded the admissible maximum by 10 million times. Officials now say the reading was so high that the workers were withdrawn before taking a second reading. The Associated Press quoted Tokyo Electric Power Co. as saying "The number is not credible. We are very sorry." Officials were taking another sample to get accurate levels, but the company did not know when the results would be announced. Meanwhile, the Japanese Ministry of Health, Labor, and Welfare has urged the operators of water purification plants nationwide to temporarily stop taking in rainwater to prevent further contamination in tap water following radiation leaks from the Fukushima nuclear plant, according to the country’s news agency. The agency says the instruction by the ministry came after radiation levels beyond Japan's regulated standard were found in tap water at multiple purification plants in Fukushima and other prefectures including Tokyo, 220 kilometers southwest of the plant. 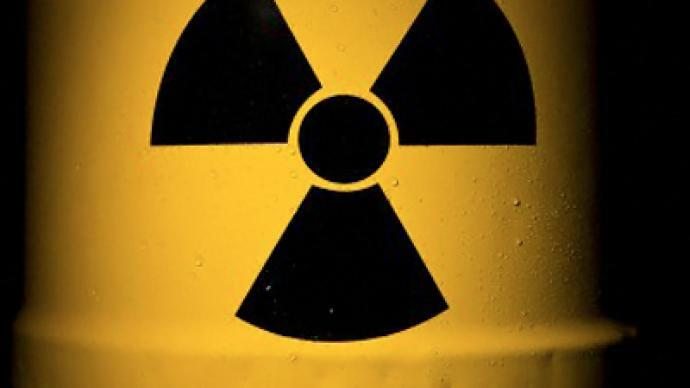 Earlier on Sunday, measurements of radioactive iodine in the coastal seawater near the plant had been reported to have risen to 1,850 times the normal level, in comparison with Saturday’s levels measured at 1,250. Radioactivity in the air in reactor 2 has been measured at 1,000 millisieverts per hour, which is four times higher than the occupational limit of 250 millisieverts set by the government, said TEPCO spokesman Takashi Kurita, according to the Associated press. 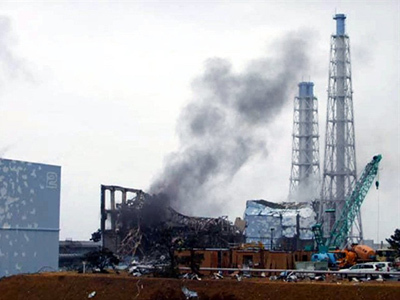 Hideiko Nishiyama, an official from Japan's Nuclear and Industrial Safety Agency, said that the rise had been caused by a radioactive water leak from the inside the reactor, Kyodo news reported on Saturday. He also added that ocean currents will help disperse the radiation particles and the impact on marine life and seafood should be minimal. Meanwhile, Reuters quoted Japan’s nuclear safety agency as saying there is no chance of highly radioactive water from the reactor turbine buildings flowing into the sea. 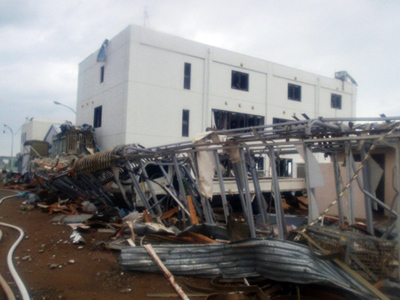 On Saturday Japan's top government spokesman Yukio Edano said it is difficult to predict when the crisis at the Fukushima Daiichi nuclear power plant would end, but clearly “an enormous amount of work” has yet to be done before the situation will settle down. Shaun Burnie, an independent nuclear energy consultant, is concerned that besides the isotopes with relatively a short half life, like iodine-131 detected in the sea tap water in Tokyo, longer living isotopes might be released from the reactor.